Picture this: A small brown field mouse breaks cover and arrives at a junction of grass and hard surface. It is a beautiful day; there are very few people about and the countryside is quiet. Somewhere nearby a bird sings in the trees. 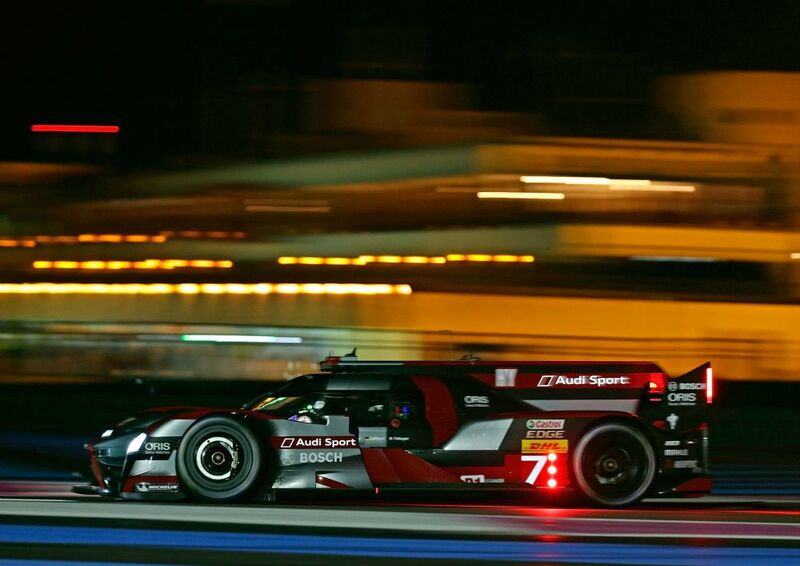 The mouse reaches out a tentative paw but suddenly pulls back just as a howl fills the air and an Audi R18 e-tron Quattro flashes by in a fury of heat and noise. The mouse has almost learned the first lesson of motor racing the hard way: never try to cross the Mulsanne Straight on a Le Mans practice day! It was a sad day when the German brand announced they were withdrawing from the World Endurance Championship at the end of 2016. Audi’s consistent success at the legendary Le Mans 24 Hour event is reflected by the brand’s consistent success on the road. And it is on the road that Audi produced another success story. In June 2007, a road-going sports car that honored their racing heritage, and which was destined to garner awards and praise across the world – and from me – arrived. The Audi R8. Based on the earlier concept designed by Frank Lamberty and Julian Honig, the R8 was introduced to the waiting world in 2006, and deliveries began the next year with immediate success. Less raucous than some other supercars, the R8 is civilized and comfortable with a subtle soundtrack, superb throttle response, and the sort of scorching performance that slots the vehicle easily into the supercar sector. The Audi R8 is still hand-built, mostly by craftsmen whose skills are regularly monitored to ensure the high standards they achieve are maintained. 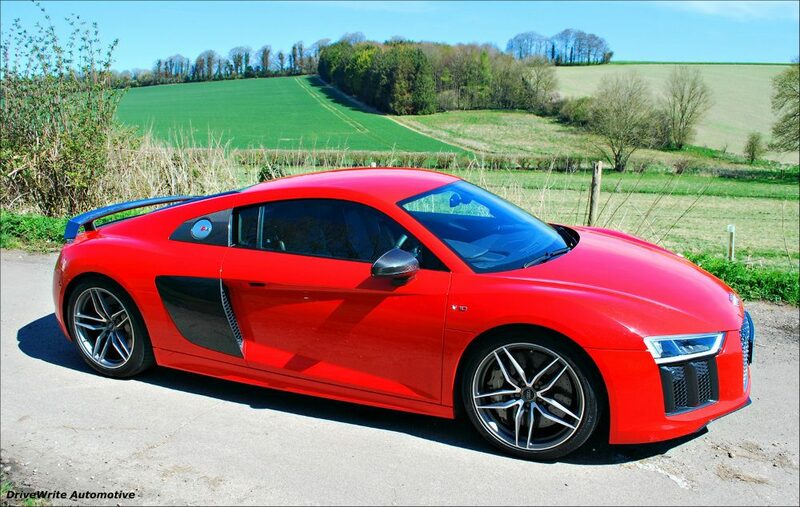 The Audi R8 started life with a 4.2L V8 nestled behind the driver. It was later joined by a desirable Spyder version, both of which were subsequently offered with a stonking V10 engine for even more power. A sports suspension with a dynamically tuned spring and damper combination provided that desirable Audi driving experience. In 2012, the Audi R8 LMS, essentially a racing version of the street car, won its class at the 24 hour race at the Nürburgring without a single mechanical problem; the only car to do so. The Audi R18 e-tron Quattro was the first hybrid Audi Le Mans race car with its partially electrified hybrid drive. The e-tron Quattro is a four-wheel drive car with hybrid (KERS type) technology powering the front wheels and a diesel engine driving the rear wheels. Did you know that just one kilometer with the R8 during testing on the Nurburgring Nordschleife is the equivalent of fifteen kilometers on public roads? That’s how much demand is made on the cars. Just 120 of the factory’s best employees qualify to work on the prestigious R8 assembly line. More than half of R8 workers are over 40. It is said the easiest way to spot them is to look for the gray hair. The factory calls them “silverliners.” Obviously, not to be confused with male mountain gorillas known as silverbacks! In Latin, Audi means “hear” and the German word for hear is “horch.” Audi’s founder was August Horch. In 1938, crash tests were first carried out by Audi. These tests gave the company an idea about how cars would behave in case an accident occurred. Without realizing it, the company had set a precedent for all other car manufacturers. 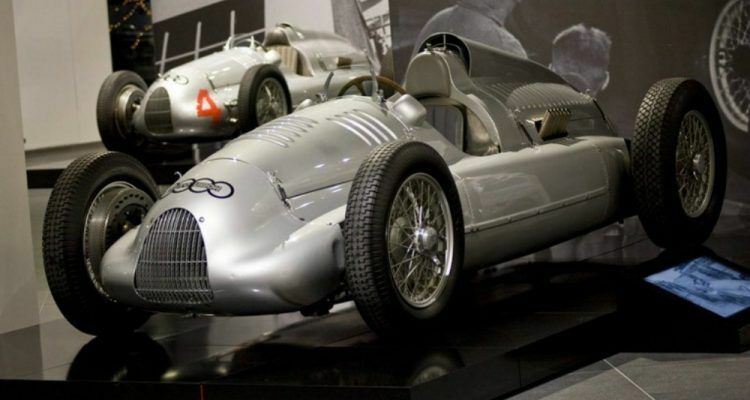 In 1932, Audi joined forces with three other companies to form Auto Union – a name that was to have legendary success on the racetracks of the time. The original four companies of Auto Union are represented by the overlapping rings of the Audi logo. 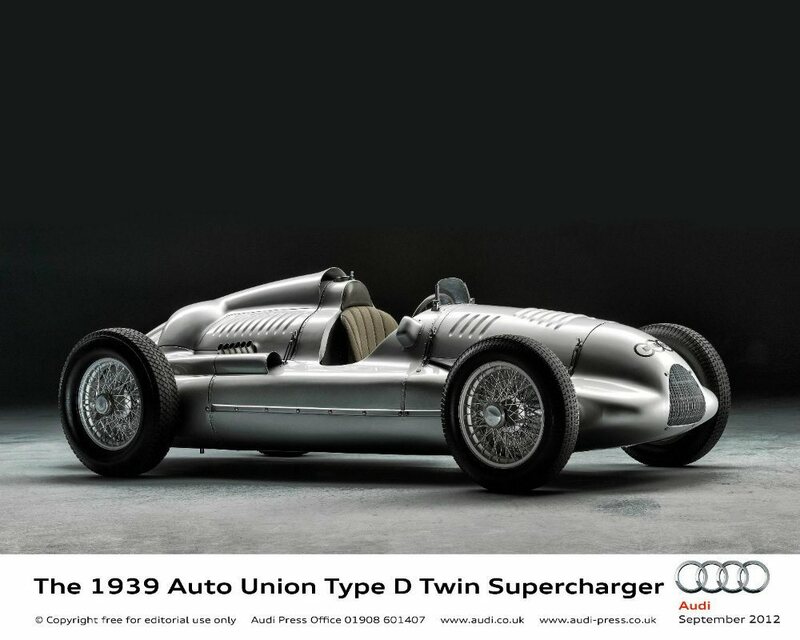 This Audi AG press image shows a beautifully restored 1939 Auto Union Type-D Twin Supercharger model. Producers of the original Iron Man cast the R8 as the ideal sports car for high-tech billionaire hero Tony Stark. The R8 space frame was so well-built it changed the ending of the film. The stunt directors originally planned to collide the R8 with Iron Man’s adversary, and flip it over. But it wouldn’t flip. The filmmakers tried a different stunt, but the Audi R8 still prevailed! 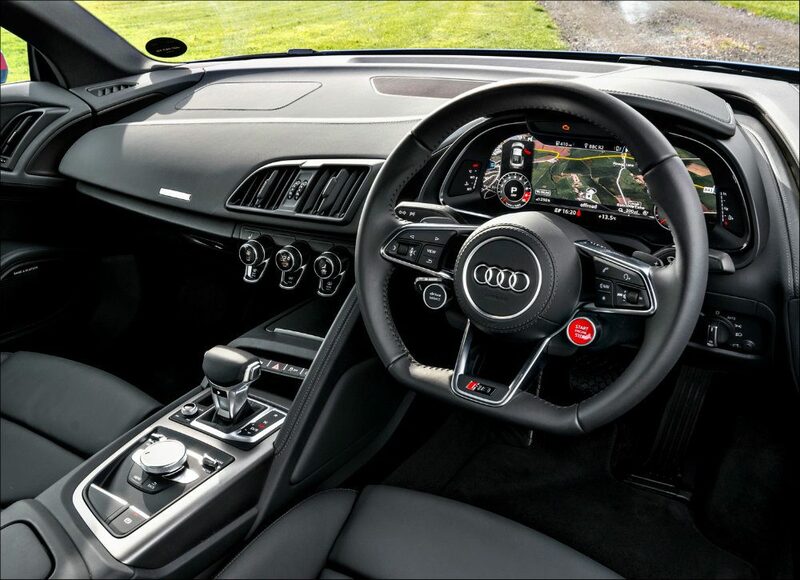 Snug behind the driver and helping to provide perfect balance and road holding sits the heart of the R8 – the engine. There’s a choice of power plants originally derived from the engines that helped Audi win Le Mans. The first generation (2007-2015) had a 4.2L V8 with 430 horsepower or a feisty 5.2L V10 delivering 532 horsepower. Today, the R8 features two V10 engines, one with 540 horsepower and a plus version with a muscular, free-revving output of 610 horsepower. Yet each one remains reliable and refined. From beginning to end, the development of the Audi R8 is about the evolution of the look of the car and the revolution that goes on inside the car. Every once in a while, a car comes along that inspires those who see it. Some cars are just made to drive: a triumphant combination of tried and tested four-wheel drive, highly developed engineering, and the care and attention of the people who built it. The Audi R8 is just such a car and it is visiting me again this summer. Be still my beating heart – and yours be still as well as you listen to that particular sound of power. No Comments on "Letter From The UK: The Audi R8 Experience"